Are you looking to buy or lease a new or used Toyota Sienna? Our Andy Mohr Toyota team would like to provide you with a quick preview of what our Toyota dealer serving Whitestown has in store. 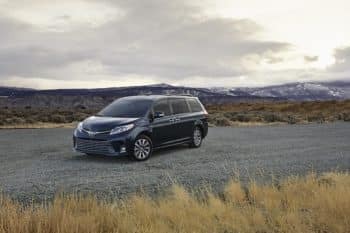 We’ll start with a mini review of the 2019 Toyota Sienna itself and proceed with an overview of our finance and service departments, so you can have a clear idea of the kind of experience you can count on when you stop by. Read on to explore the possibilities and see what we’re all about. View Inventory Inside and out, the Toyota Sienna is a formidable minivan that’s fully equipped for any family’s various adventures. For instance, under the hood, you’ll find a commanding 3.5-liter V6 24-Valve engine that pumps out 296 horsepower along with its 263 lb-ft of torque. Inside the cabin, there’s plenty of comfort and convenience to go around. 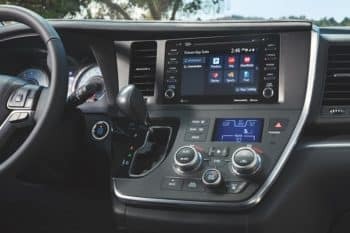 Here, everyone on board will enjoy their preferred temperature settings with the standard 3-zone automatic climate control that has an air filter and provides the driver, the front seat passenger, and the folks in the back with their own controls. The Sienna also enhances the drive with several notable safety features. These include the available Rear Parking Assist, the available Blind Spot Monitor with Rear Cross-Traffic Alert, and the standard Hill Start Assist Control. For your convenience, we offer new, pre-owned, and certified pre-owned Toyotas. You can be confident that our collection of Certified Pre-Owned vehicles is of the utmost quality. That’s because each one is put through a comprehensive 160-point inspection. Only then will it be given this certification and be displayed out on the lot or in the showroom for your consideration. This inspection involves a strict examination of the vehicle’s interior, exterior, and mechanical elements. Here at our Toyota dealer near Whitestown, we offer a variety of Toyota Sienna lease deals. From time to time, there’s also an assortment of specials that you may be able to take advantage of. Feel free to come in and check out what we have in store. One particularly noteworthy benefit of leasing your next vehicle is the likelihood that you won’t have to deal with having a down payment. In the event you do have one, it’s sure to be quite a bit lower than if you were buying the vehicle. Similarly, leasing also allows for monthly payments to be lower. This is because, when you lease, you’re not paying for the entire value of the car like you would be if you were buying it. Instead, you’re only responsible for it for the duration of the lease. When you enter our finance department, you’ll be greeted by a knowledgeable and accommodating member of our staff. The two of you will sit down together and go over all your options. Whether you’re interested in leasing or financing, they’ll be able to get you fixed up with a plan that makes the most sense for your needs. Even if you have bad credit, we have special financing available. Whenever you bring your Toyota in to the service department, you can be confident it will be given topnotch care. That’s because our automotive technicians are factory-trained with years of experience. They have the skill and know-how to get you back on the road as soon as possible. We also provide you with the added convenience of being able to schedule your next service center appointment online. The town of Whitestown is home to approximately 2,867 residents. There is no shortage of interesting activities to enjoy around this all-American community. For instance, over in nearby Zionsville, there’s Hopwood Cellars Winery that would make an exceptional date night. If you or a loved one have a sweet tooth, you might want to stop over in Lebanon at Donaldson’s Finer Chocolates. Now that you’re a bit more familiar with a few more things to do in the Whitestown area, if you’d like to explore it further, we’d be happy to help you find the right vehicle for the job. 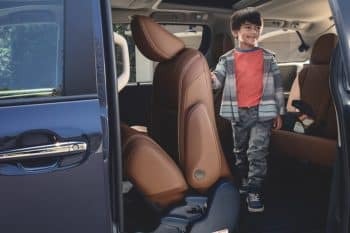 If you live or work around Whitestown and would like to get a closer look at what the 2019 Toyota Sienna has in store for a growing family, contact Andy Mohr Toyota today to set up a good time for a test drive.